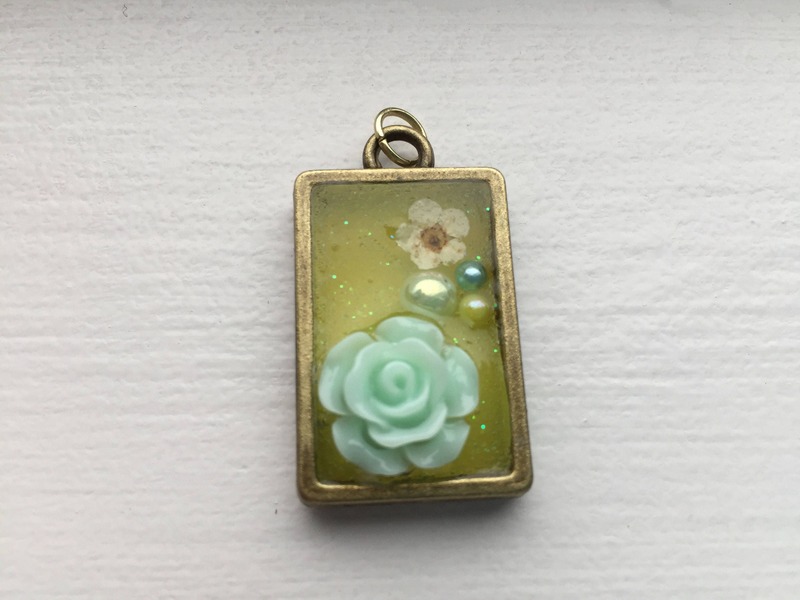 A beautiful antique style flower pendant with a bit of sparkle and shine. Would make a beautiful necklace or a great accessory attached to a keychain or purse. 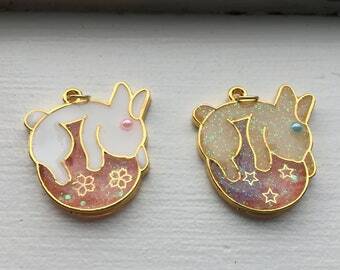 Please note that this listing is for the pendant ONLY and a chain is not included. I have attached a 4mm jump ring so it is ready to be hung from a chain of your choosing. The measurements are 1" x 0.75" and the centre of the pendant was made using UV resin. Since this item was made by me and not a machine, variations will occur. A portion of all sales go towards Crohn's and Colitis Canada to help support those suffering from inflammatory bowel diseases. Please contact me if you have any questions about this item!